SIAL is a global event that runs throughout the year supporting food industry operators in their local and international development. Reports from the SIAL network, all over the world. 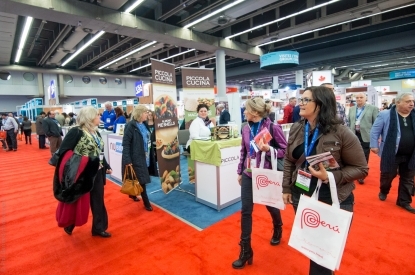 SIAL Canada 2016 in Montreal... After Toronto 2015 (which set the bar rather high), the gastronomic capital of North America had to sustain this momentum. And the organisers are more than pleased. “Our event beat every record with 21% growth on 2014...” explains André Coutu, CEO of Groupe Expert Agroalimentaire. This enthusiasm was echoed by everyone involved in the fair, exhibitors and visitors alike. At an event where several commercial agreements were signed by Canada and its partners (Europe in particular), the international scope was clearly felt in the alley ways and booths. A stroll around the alleys and a few tastes of the products available was enough to grasp the global scope of the event. “We successfully convinced new provinces in Canada and also brought new countries on board,” explains Xavier Poncin, the exhibition’s General Director. Another (huge) reason to be pleased was the atmosphere in Montreal... Clearly business-focused with the presence of interesting visitor-buyers and always so warm and friendly, just like Quebec - a little corner of France and North America. Toronto 2017 has a great challenge ahead! 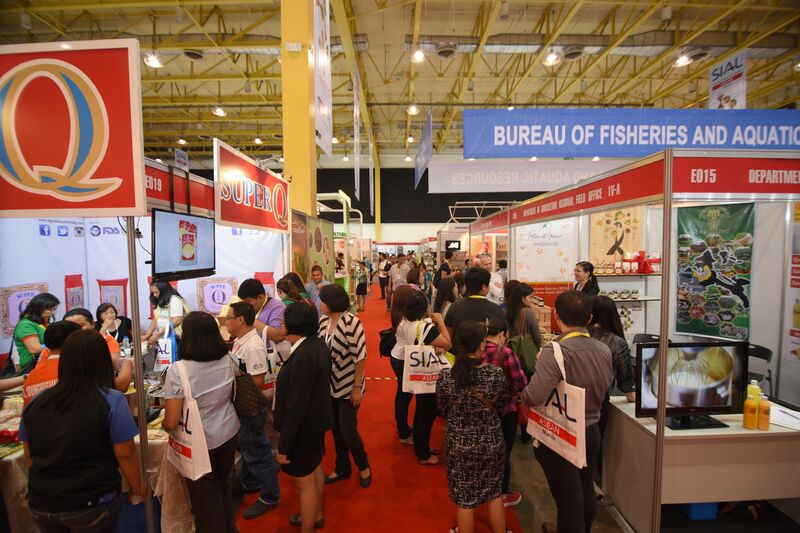 SIAL Manila has just drawn to a close. From 31st May to 2nd June, the first food exhibition in Southeast Asia opened its doors to professionals from the region and all over the world. There were many English-speaking buyers and investors in the alleys (it's the Philippines’ national language) and a great many visitors looking for inspiration in the booths. 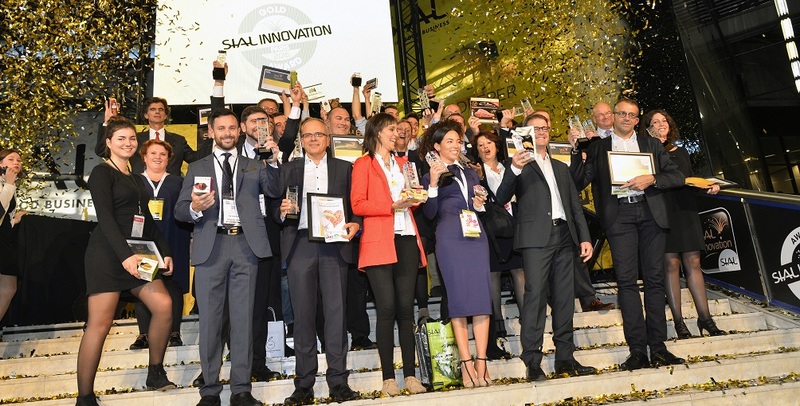 Mission accomplished for SIAL Manila with over 300 exhibitors from over 16 countries, 7 zones, 15 product categories and many events within the exhibition, like SIAL Innovation, La Cuisine and the World Tour. The fair boasted a warm and positive atmosphere, encouraging discovery and celebrating new flavours. This year, seafood products took pride of place (it was the Philippines after all). Gourmet foods, fresh and semi-preserved fish, molluscs and crustaceans and in the Seafood Pavilion, a multitude of aquatic resources could be seen in one place. Over three days, SIAL Manila opened the door to a country with a varied and elaborate food culture, and to a region with fantastic business potential! The food industry has some great days ahead in the Philippines! What first hits the visitor at the exhibition is the (impressive) size and the multitude of colourful food products. From 5th to 7th May 2016, SIAL China welcomed 2,949 exhibitors from 63 countries and 30 provinces to its 126,500m² exhibition space. In Shanghai, SIAL China did things once again on a grand scale, offering new inspiration to visitors and creating as many opportunities for networking and meetings as possible. We asked the visitors why they came to SIAL China. Most answered: “It’s the biggest food event in China. You simply have to be there!” Or: “It’s the best way to get into Asia!” Read about the high points at SIAL China! “For the hundred or so Polish exhibitors attending, the fair represents tremendous recognition and a reward for a very positive brand image. What makes the difference in our products? Taste and respect for tradition! Our ingredients come from rural areas where expertise is handed down generation to generation, in a perfect balance between tradition and a modern approach. As a celebrated country, we could reach even more Chinese consumers at an event known for the quality of its visitors. " The Gansu pavilion was a huge success at the fair with a great number of products available: wine, corn, tea, frozen vegetables, noodles, chips, beef and mutton... For this Chinese province where great food is very important, SIAL China represented a fabulous showcase. What with business opportunities and media interest, the 30 exhibiting companies got what they needed! Water bottle with three single servings of squash in the lid. Press the first button to release the first serving in the bottle. Fill up the bottle again and use the next serving. Lab Nosh is a meal replacement rich in nutrients, in a bottle ready to go! Simply add water and shake before serving! A smart bottle which changes the way of drinking water... Elite Manuka Honey Water combines elegance and ease of use. 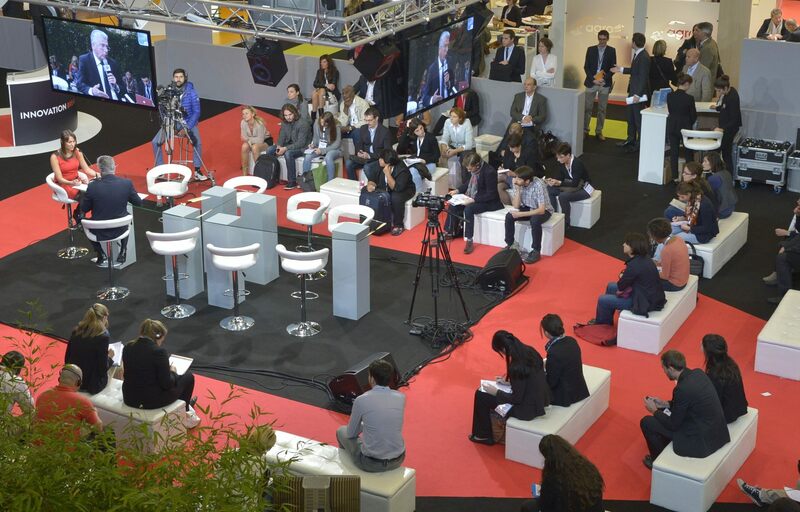 For the 2016 edition, SIAL Paris is clearly focusing on restaurants (see our 1st quarter 2016 issue) and retail. For the retail sector, this year the exhibition wants more than ever to be a source of inspiration for the entire industry with over 100 countries represented and the presence of 7,000 businesses from 21 sectors. Another asset is the market content provided exclusively by TNS, XTC, Nielsen and Euromonitor, to help you better anticipate coming retail trends. 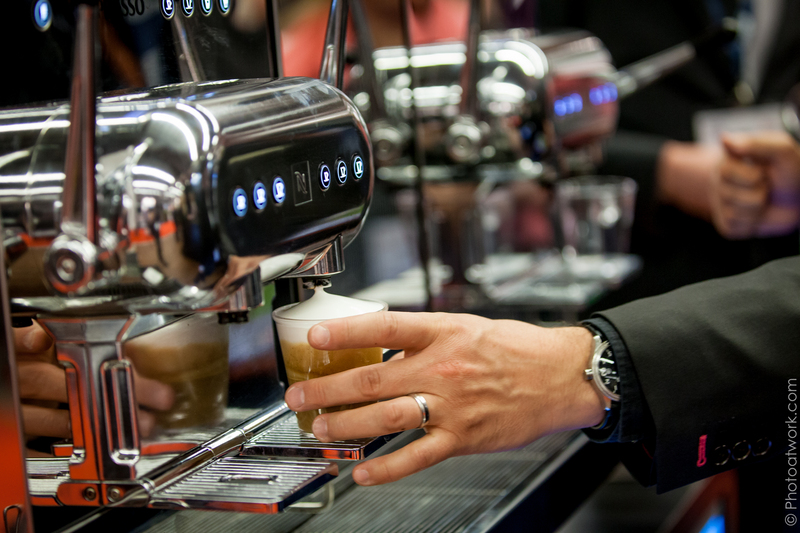 Before launching new innovations, exhibitors can test their new recipes and products. For retailers, it represents a chance to fill up on new ideas and satisfy consumer preferences before the competition. SIAL Interfood is without a doubt THE exhibition in Indonesia with 40,000 visitors, 800 exhibitors expected and over 20 countries represented. And Indonesia is a country that will make its presence felt over the coming years. A population of 250 million and an economy growing at 5% a year should rank Indonesia as the world’s 7th trading nation by 2030... Jakarta is the stuff that the food industry’s dreams are made of. 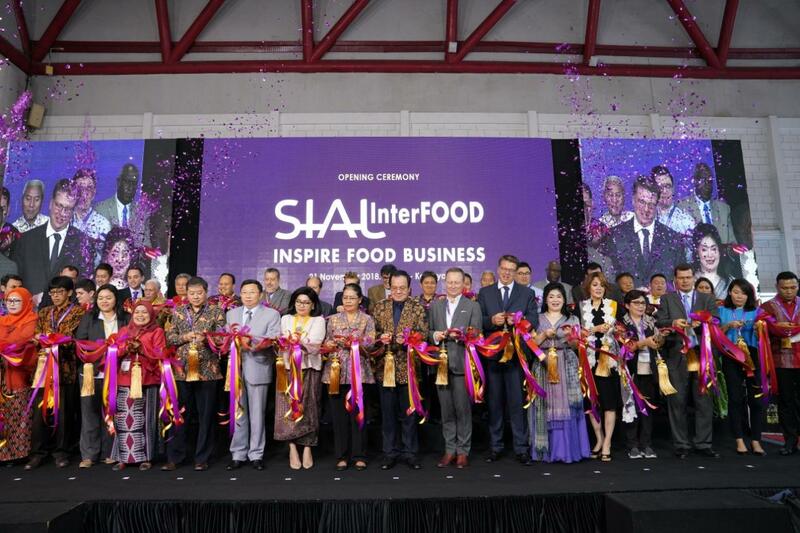 To accompany this development, in 2016 SIAL Interfood is a unique networking and business platform with inspiration as its primary ingredient. SIAL Innovation, World Tour, La Cuisine... The events will all be there to showcase innovation and the future of food. We should be counting on Indonesia in the coming years. Phil Hogan, European Commissioner for rural and farming development, understood this when he decided to take a delegation of over 40 companies to meet the southeast Asian market at the fair.